Just the act of exercising in some way makes your mind and body feel better.You don’t have to hit the gym everyday. Get outside and take a walk at lunch, dance or play ball with your children, take the steps. Just get moving. It’s healthy both mentally and physically. It’s so important to refuel your body with an adequate amount of sleep each day. Everyone has a different magic number. Yours may be 7, 8 or 9 hours.Figure out that magic number and fit it into your life plan. Your body and mind will thank you. Hydrate your body. It will do you body good. Water helps your skin, your body functions as well as your overall health. Begin a healthy relationship with water today. If you don’t like the taste of plain water, flavor it with your favorite fruit such as lemon, strawberries, etc. Planning is everything for a healthy eating plan. Plan your next week’s meals the weekend before. A well-laid plan will help you create a healthy meal program for you and your family.Everyone is busy and the unhealthiest meals happen when we are rushed. Plan in healthy protein and vegetables throughout your week. Your body will thank you. Dierks Farms Grass Fed Beef is an excellent way to eat healthy. Grass Fed Beef is an excellent source of Omega 3 & 6 and it offers heart healthy benefits. Add it to your diet today, Visit our Store. My belief is that positivity is the key to a longer happier life. 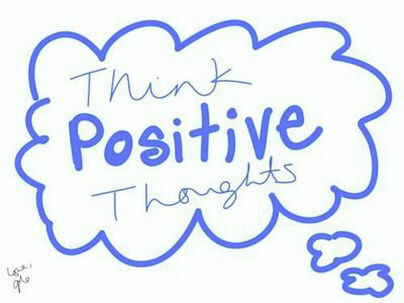 Begin each day with a positive thought. If you have trouble with this use a note on your bathroom mirror to remember a positive thought for each day. As Willie Nelson said, “Once you replace negative thoughts with positive thoughts you will have positive results” Every life is full of stressful situations and many times we need to just stop and think a positive thought to change the whole situation around. There are many other things that you can do to make yourself healthier both in body and spirit. These 5 things are a start to ways to create a healthier lifestyle. It may take a while to develop new sleep habits, the habit to drink 8 glasses of water each day or just to bring positive thoughts into your life. We always need to remember that it takes one day at a time, one step forward, and one small action to make change happen. Strive for change to make your life better.You are worth it!